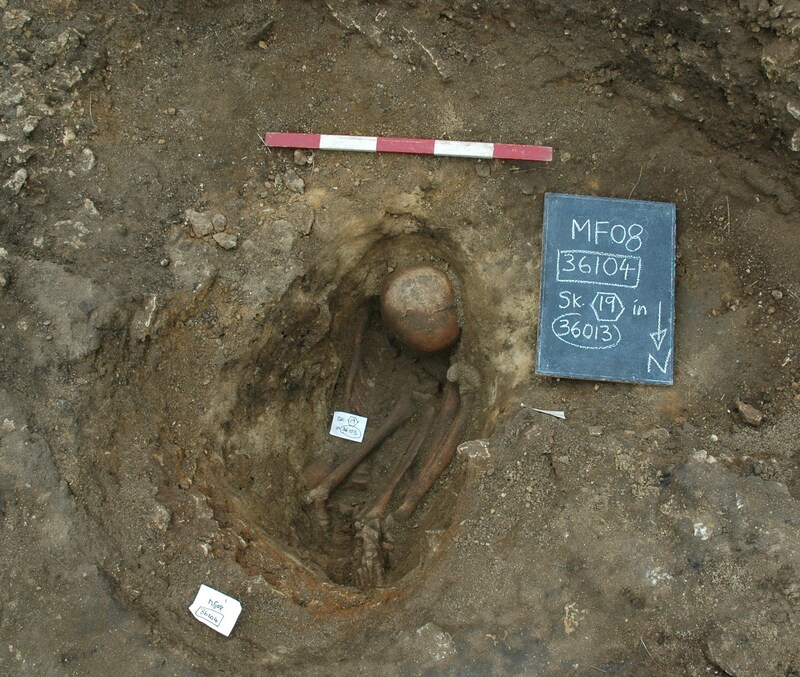 It was fascinating to discover that an ordinary looking skeleton of a young person from the Iron Age discovered in 1964 had a potential ‘twin’ buried in exactly the same strange way several metres away. The bones of both skeletons are the same lengths so they were probably around the same age and height, and they shared a minor uncommon skull feature, suggesting a possible family link. They were both found tightly curled in the bottom of two widely separated very narrow, deep pits. Narrow pits must have been intended because the soil adjacent was sandy so they could have very easily dug wider pits, but didn’t. They were also placed in their graves symmetrically with regard to each other and might have been buried at the same time. Investigation so far shows neither had any apparent injuries and the cause of death is unknown. Natural causes aside, sacrifice or special rituals, or crime and punishment are all possible candidates for this mystery. The Romans mentioned religious practices among the late Iron Age Britons and maybe this is what they saw here before building their own religious site overlaying the Iron Age one? Lets hope further investigation reveals much more.